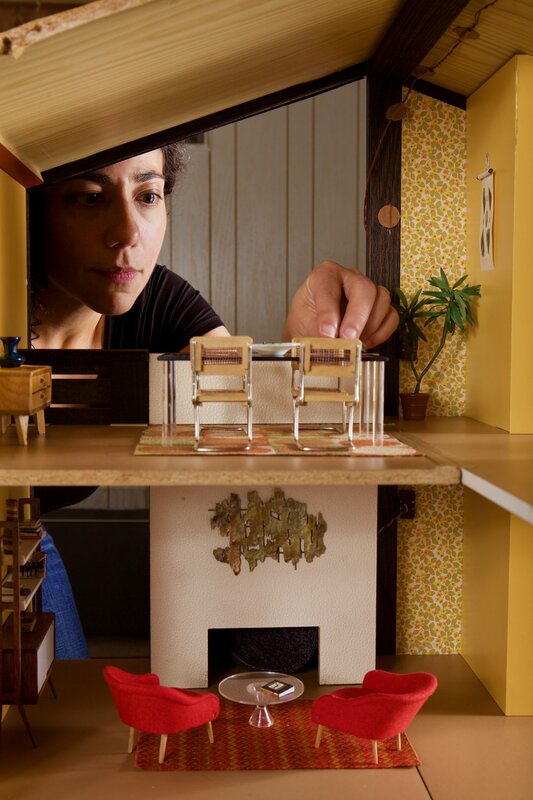 I started Call of the Small in 2009, inspired by a childhood fascination with dollhouses and miniatures, and further propelled by an adult obsession with modern design and architecture. In addition to writing, styling, and photographing all the content on my blog, I have completed two book covers and a range of editorial work, and have participated in a number of art exhibits and installations. My work has been profiled in the New York Times, Fast Company, BUST Magazine, and many others. I have nineteen dollhouses in my collection, dating from the 1950s through the present day, each of which presents opportunities for design on a small scale. I also have an extensive inventory of furnishings and accessories to create different environments and evoke a variety of styles. Please peruse my blog and creative services offerings and feel free to contact me with inquiries.